If there’s a hellishness to When Parallel Lines Meet at Infinity that makes it possible to see Mark Wallinger’s journey through the underground as a journey to the underworld, then his work Threshold to the Kingdom can be seen as representing an altogether better passage to a different world. 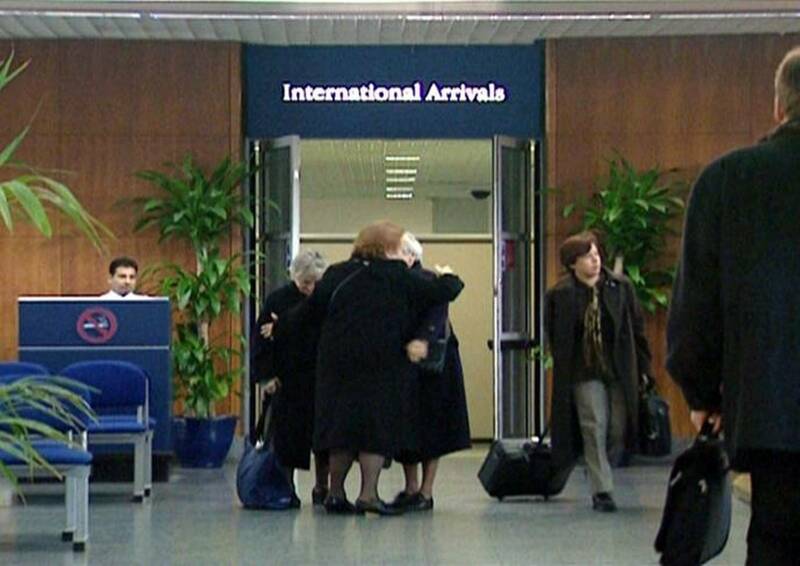 The journey here is a simple one – through a set of automatic doors into the arrivals hall at London City Airport – but it is made in slow motion and to the accompaniment of glorious choral music which gives the arrival an uplifting feel. Some are greeted by friends, others pass through to continue their journey alone but there is a feeling of calm even when it briefly looks like paths might converge and collisions occur. While I’m still on a transport theme, however tenuous some of the connections have been, it seems relevant to ponder a work by Mark Wallinger that I saw in his Whitechapel show however many years ago that was (yes, yes, Google would know) and which has stayed in my mind but refuses to quite come into sharp focus for me. 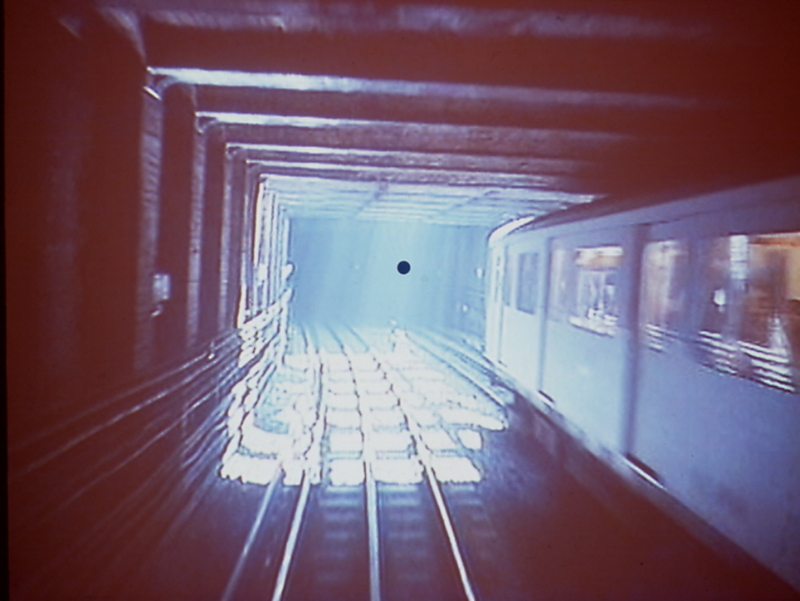 What I remember is a wall sized video projection of the view from a Circle Line tube train as it went round in circles. Standing watching the tracks as we travel forward along them is a slightly giddying experience. There’s no sense of separation. And there’s always something slightly vertiginous about a wall-sized projection; the lack of the framing device of the wall around the edge of the projected image means there’s a strange sense that this is a world we could pass directly into. It was the title of George Shaw’s painting of a phone box – The Time Machine – that brought Mark Wallinger’s Time and Relative Dimensions in Space to mind. 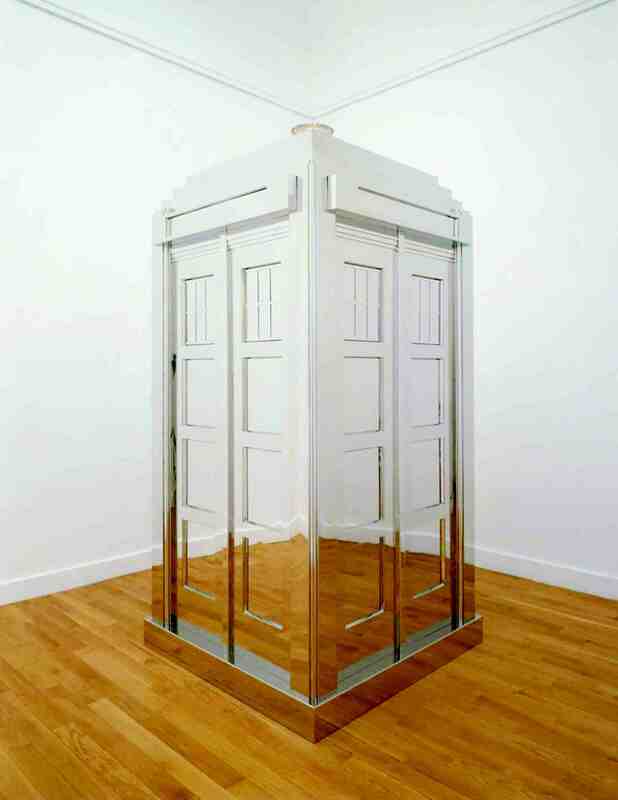 The work is a replica of a police box with a mirrored surface. Police boxes really don’t exist any more so we only really recognise them in the form of Dr Who’s TARDIS. The nature of the tardis is that is appears from nowhere and can disappear in an equally incomprehensible manner. Whereas the tardis is either there or not there, Wallinger’s box seems to be simultaneously there and not there. The unmediated sea at Margate. There’s something compelling about the sea. It looks so flat and innocent but it demands our respect and we know how violent it can be. 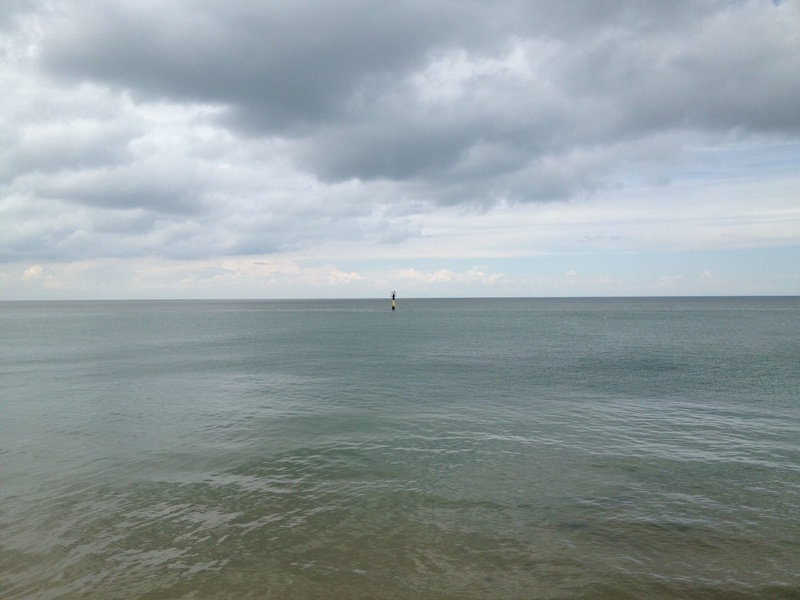 But even on the dullest, stillest day, I think I could stare out to sea for quite a long time without getting bored. 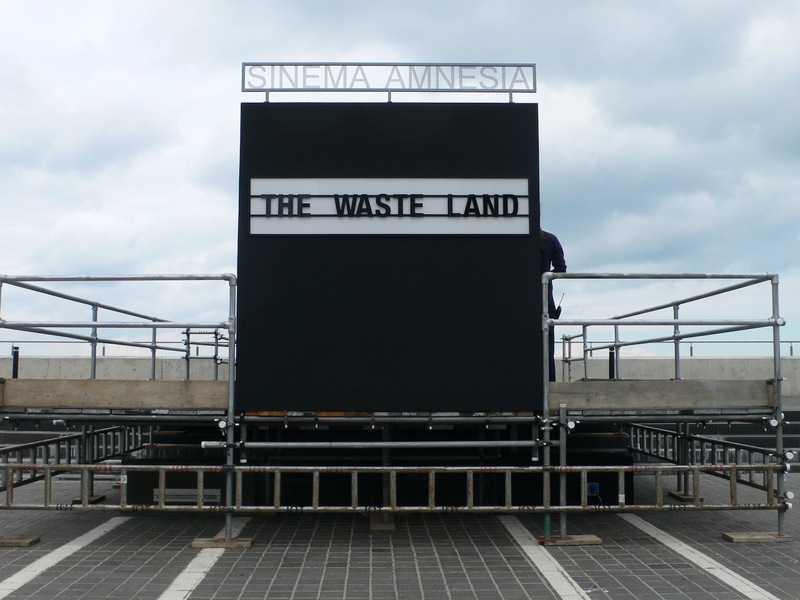 Standing outside Turner Contemporary at Margate, Mark Wallinger’s Sinema Amnesia is watching the sea this summer and showing it back to us in the form of The Waste Land. The installation takes the form of a shipping container supported by scaffolding and not trying to pretend otherwise. There are references to cinema not just in the title but also the signage but otherwise it’s essentially just a black box in a car park in a run-down seaside town, albeit a car park outside a contemporary art gallery.